James spent the summer working in Boston, before travelling to Washington DC, Nashville, Austin and Las Vegas. Hi there. A very unhappy man reporting to you here from Ireland! I’ve just returned from the summer of a lifetime and now don’t know what to do with my time! 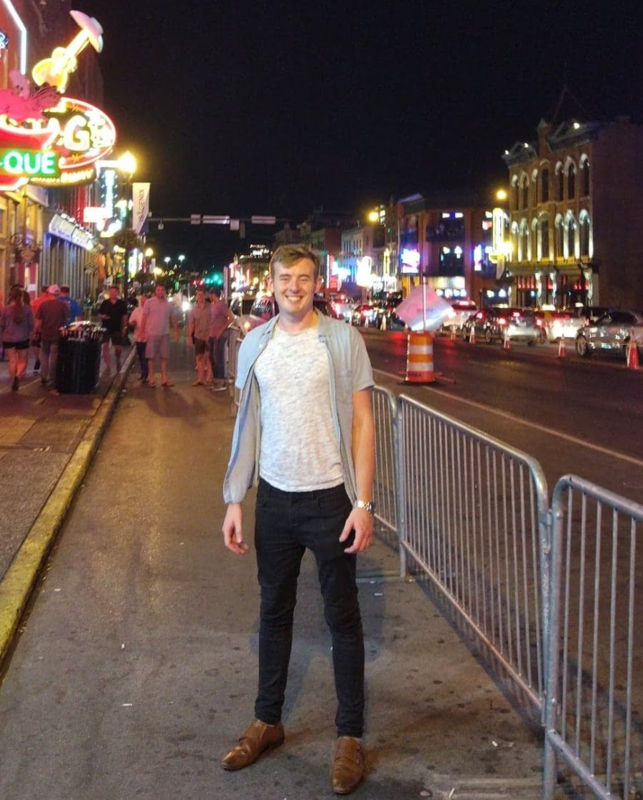 I spent three months in America on a J1 visa as part of the work and travel programme. I can confidently say that if you’re thinking of doing this programme that you won’t regret it and that I might see you there! 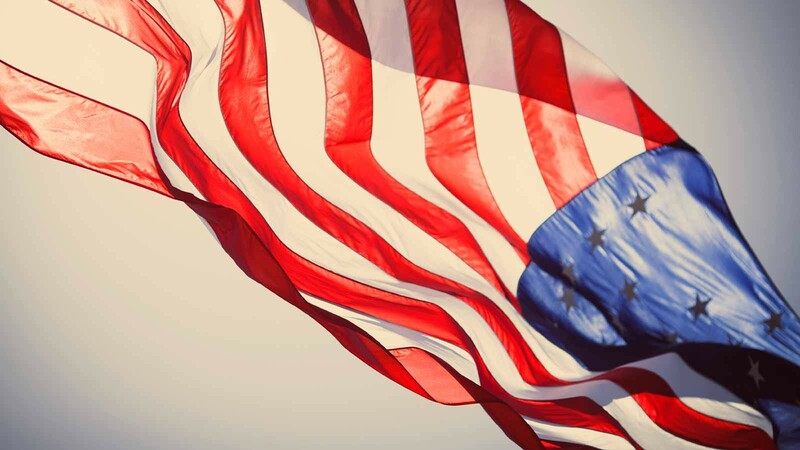 Myself and a few friends from my hometown had always spoken of going on a J1 visa to America. 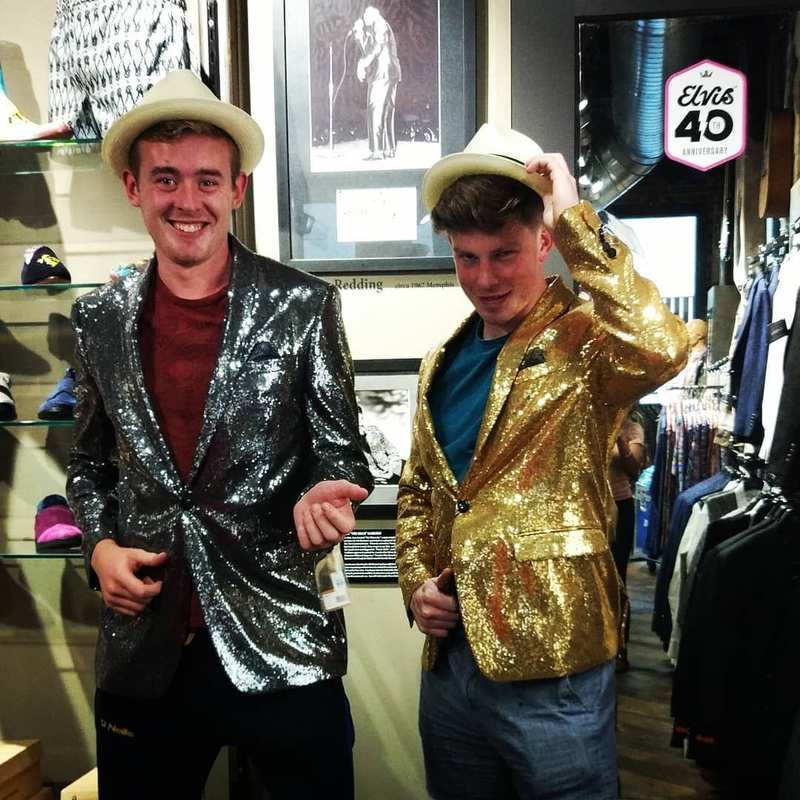 As we are all going into our final year of college we felt that now was the perfect time to do the programme so that we could get it all out of our system during the summer before the final year slog! We were undecided at first on where to go and were yo-yoing between Chicago, San Diego and Boston but ultimately went with the latter due to the Irish influence in the city and due to the stories we had heard from people who had been there in the past. 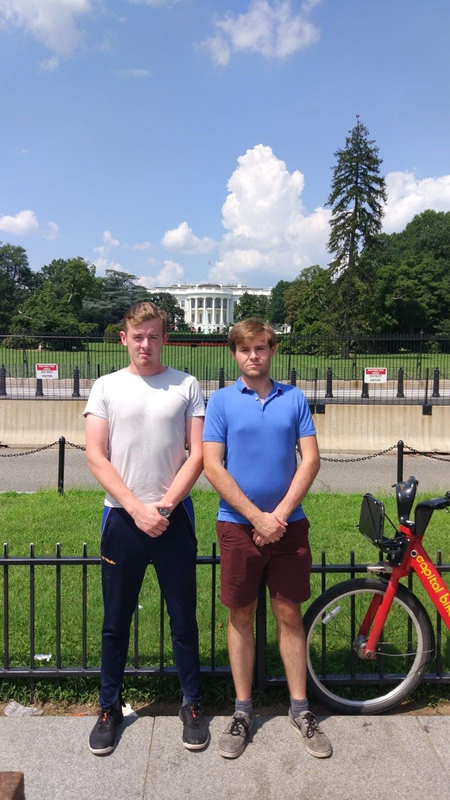 Once we had decided on the basics we went about applying for the J1 visa and looking for a job through the interexchange website. Within a short period of time myself and my 5 other friends had all gotten jobs. Three from our group got jobs as security in a waterfront bar called Tia’s, two others got jobs in Pret A Manger cafes and the other worked as security in a bar called the Whiskey Priest. Once we had our jobs sorted we began searching for accommodation. One of the people in our group put a lot of work into this part. We looked at a lot of places online using Craigslist and other accommodation websites, before settling on a place from Craigslist. We were apprehensive at first about taking a place without seeing it in person, but we were lucky enough in that the landlady did not look for a security deposit. This made us feel much more at ease with the whole process. We turned out to be so lucky to get this woman as our landlady, as she became somewhat of an American mother to us; taking us on tours around the city and generally going above and beyond what was expected of her. One of the mistakes we made was coming over too early: we came over on the 23rd of May. We weren’t due to move in until the 1st of June and so a lot of money was wasted in that first week. However, the first week was extremely fun as we were experiencing our first taste of American life and culture. We went down to Cape Cod that week for Labour Day meaning we had somewhat of a holiday within a holiday! If I was to do it again I would have come over on our move-in day, begun work straight away and left all of the travelling for later in the holiday once we’d gotten our bearings on the place. Once we had gotten settled in with our jobs and house the fun of the J1 began. Tia’s was an absolutely fantastic place to work. There was a large contingent of Irish J1s as well as young American people which allowed us to build up a large base of friends very quickly. We quickly established a great sense of camaraderie within Tia’s and were soon going on nights out together (Karaoke Sundays in Wild Rover with dollar pints won’t soon be forgotten) as well as other activities such as going to the cinema (go to the cinemas in America, they’re awesome) and concerts (Arctic Monkeys in TD Garden were amazing). As a side note, if you go to Boston don’t be surprised if you find yourself in Coogan’s, An Táin or Wild Rover with unbelievable consistency- us J1s love a good bargain! Other popular places for a night out are the Burren and Tia’s on a Thursday and The Harp, Royale Nightclub, Cask and Flagon and West End Johnnies on the weekends. There’s also the Black Rose which plays Irish music throughout the week if you’re feeling lonely for home. You will notice that all of these bars have Irish names; and this is something that is immediately obvious once you get to Boston as the place is pickled with them! It’s so bad that it can be difficult to find somewhere that isn’t an Irish bar! With all of the working and <ahem> socialising, there was little time for us to do daytime activities. We did, however, make time for these things and were able to accommodate trips to the beach, the public swimming pools, the basketball courts (Irish people can’t compete with Americans in basketball, as we found out). 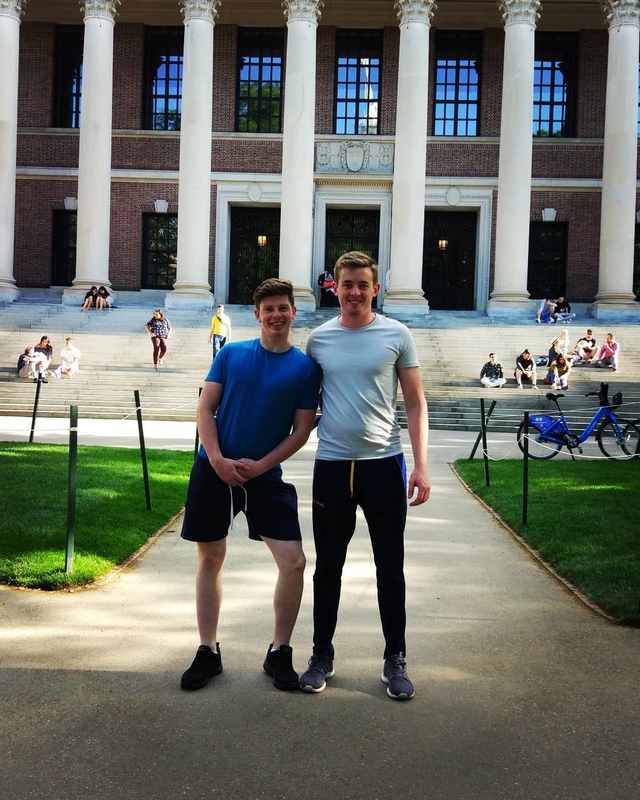 We also made trips to the touristy attractions such as the Bunker Hill Monument, Harvard University and the Sam Adams Brewery (free beer is always welcome). Something which we didn’t do, but should have done while we were in Boston, was to go to a baseball game. The Boston Red Sox went on a historic run this year and the baseball buzz was amazing with it on the television in every bar in the city. Baseball has a remarkable amount of games per season so you won’t be short of opportunities to attend the famous Fenway Park. We finished up in Boston in August to begin our travels across America. We did a huge amount of travelling compared to other J1’s. Our journey had the following pit stops: Washington DC, Nashville, Memphis, New Orleans, Houston, Austin and finishing up in Las Vegas. Our initial plan was fly to Washington DC, then on to Nashville where we would pick up our rental car and commence the drive to Austin. There, we would drop off our car and fly to Vegas. However, when we got to the rental office in Nashville they revealed to us that if you are under 25, you can only rent a car with a credit card and they can’t rent on a debit card. So if you are planning on doing a road trip, which you should, then make sure you have a credit card in tow. With this knowledge, we began sorting out our buses to each of these destinations. We went with Greyhound Bus and Megabus. Bus companies in America are very bad so this should be a final resort; we had to spend $100 and 11 hours on the bus from Memphis to New Orleans with no wifi or data (not so fun!). The road trip is described well by the phrase: “It was the best of times, it was the worst of times”. Washington DC was excellent for sightseeing; many very famous landmarks are contained within a small area that is pretty easily walked. We also went to the Smithsonian Institute For Natural History, which was stunning; and that’s from someone who hates museums! Nightlife in Washington DC is excellent and it sports some of the best nightclubs in the world. Our next stop was Nashville. Nashville is one of the most incredible places I’ve ever been, and for anyone going on J1 2019; you should have it on your list of places to go. Bars open at 11am on the main strip. Live performances from the best country music acts in the world go on right through the day until 3am, every day of the week. We were there on weekdays so one can only imagine what it’s like on the weekends. If you get sick of the country music at night, you can head up to the rooftop bars for some of the more common nightclub music. On the culinary side you ought to try the fried chicken in Nashville (any spicy food aficionados can test themselves in Hattie B’s with the “Shut the Cluck Up” fried chicken). Memphis was our next stop. The city is famous due to it being home to Elvis' Graceland Mansion, as well as it being the Home of the Blues. However, poverty has taken over the city centre and it was not an enjoyable place for us. Homelessness is rife there and the people can be very pushy when begging. After the aforementioned 11 hour bus journey, we arrived in New Orleans. New Orleans is NUTS! We stayed in a hostel called City House Hostel while in New Orleans, which brings me to my next slice of advice: stay in hostels wherever you can as you will meet so many fun and interesting people who are in the same boat as you. You will also get bored of the group you’re with pretty quickly if you just stay in AirBnBs. We got to the hostel at around 8:30pm and were instantly handed a complimentary beer and told to come with them on a bar crawl. Nightlife in New Orleans is based entirely on Bourbon Street and Frenchman Street. You need just walk down these streets, beer in hand (street drinking is legal), and the craic will find you. New Orleans is almost like being teleported to another country with some beautiful Creole, French and Spanish architecture. If you’re eager to try some new foods I would highly recommend alligator as well as fried catfish For daytime activities I would recommend the swamp tours. You are taken out on a guided boat tour of the swamp and get up close and personal with some gators and other wildlife. Houston was our next stop and acted as a kind of midweek stop-gap between New Orleans and the next city, Austin. Houston is the fourth largest city in America and very much so a working city, so there wasn’t much going on midweek in the form of nights out. We did go to a gun range which was very fun, despite being very expensive. Austin was the last stopover of the road trip, and it did not disappoint. Austin is a fantastic city with a bit of everything. It’s a very young city, due to the University of Texas at Austin (which has a beautiful campus) and all of the tech companies that have set up shop there. Nightlife is excellent with a huge amount of bars on Sixth Street and on Rainey Street- I would highly recommend Barbarellas and Shakespeares on Sixth Street. The city has a very Californian vibe while maintaining its Texan charm. When it comes to food you must try steak, barbecue and mexican food (due to the proximity to the border) while in Texas. We stayed in a hostel in Austin called Drifter Jacks, which was brilliant again in that you had people to go out with and to show you to all the good bars. We went to a rodeo in Austin also which was absolutely awesome! That marked the end of the road trip as we boarded a flight and hit off for the bright lights of Las Vegas with no cash in tow! We just had to cope for the first night and take time to just wander the streets and take in the neon infused craziness. The next morning was the All Ireland Hurling Final, with our boys in green playing. Feeling fresh after 2 hours sleep we headed off for the only bar in Vegas showing the match. 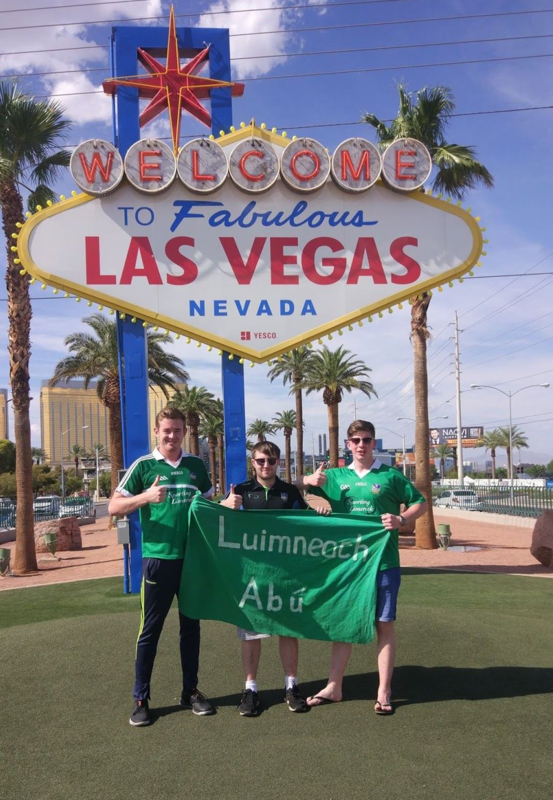 We may have been as dead as doornails but the feeling when Limerick won the Liam McCarthy was something special. Money from the parents arrived that day and we took it straight down to the casino to, ahem, invest it. After we had blown enough of our parents hard-earned cash we went back to the hotel room and got ready to head off to one of Las Vegas’ famous nightclubs. Nightclubs in Vegas are incredible and need to be experienced! On this night we went to Hakkasan nightclub to see Borgeous play and we had a blast. We stayed in the Bellagio one night, home of the famous fountains, with a view of said fountains. It was expensive but worth every penny! And so concluded our J1. It was the best summer of all our lives and something we will cherish for some time to come. The friendships and memories we made will last a lifetime. We’ve forgotten more stories than we can remember; and in some cases it’s better we did forget them! Summer 2018 you did not disappoint! 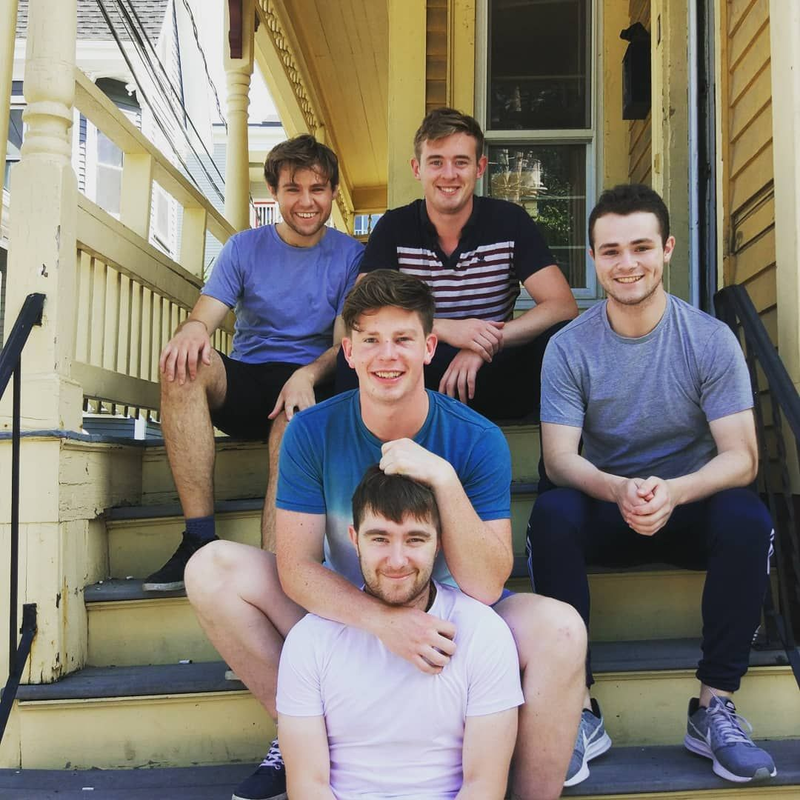 Read more blogs: Laura's J1 in Newport, Rhode Island, Mike's J1 Summer In Chicago, Rebecca's New York J1 Experience, Mark's J1 Summer Of Sport In Chicago, Cara's Ocean City J1 Summer, 5 Tips For Making The Most Of Your J1 Experience, How To Source Your Own J1 Job, Kate's Boston J1 Summer, Ciara's Long Beach J1 Experience.